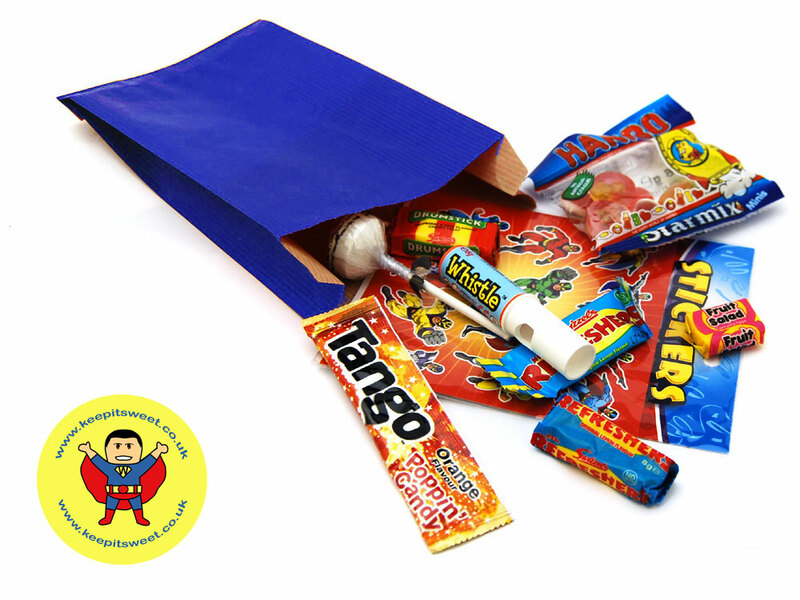 Shazam your party up and give your little Superheros a sweet treat. 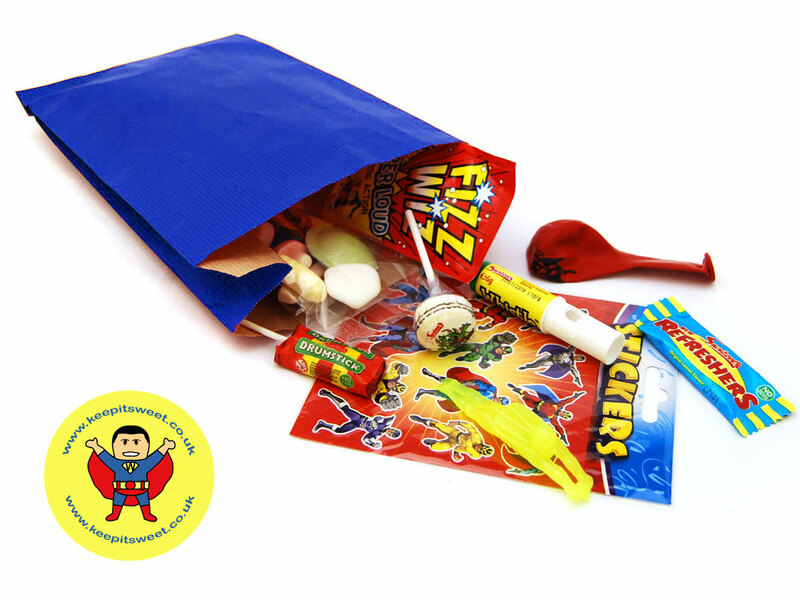 Our new Superhero themed Party Bags are filled with classic sweets and Superhero toys that will put a smile on your guests face and keep them entertained even when the parties over. Drumstick Lolly: Glucose Syrup, Sugar, Vegetable Oils (Palm, Palm Kernel), Acidity Regulator (Citric Acid), Gelling Agent, Gelatine, Flavourings, Emulsifier (Glycerol Mono Stearate), Colour (Anthocyanin). Warning: Choking Hazard. Not suitable for children under 36 Months. Candy Whistle: Sugar, Stearic Acid, Modified Starch, Acidity Regulator (Malic Acid), Cornflour, Magnesium Stearate, Flavouring, Colours (Anthocyanins). Warning: Choking Hazard. Not suitable for children under 36 Months. Harribo Mini Bag: Fruit Flavour, Cola Floavour Foam & Gums. Glucose Syrup, Sugar, Dextrose, Geletines. Acids; Flavourings, Fruit & Plant Concentrates, safflower, Spirulina, Aplle, Elderberry, Blackcurrent, Orange, Kiwi, Lemon, Mango, Passion Fruit, Aronia, Grape; caramelised Sugar Syrups, Eldenberry Extract, Glazing Agents: Beeswax, Carnauba Wax.